According to a study by American Cancer Society gaining excess weight before 50 years is linked to pancreatic cancer. According to results of a study presented at the AACR Annual Meeting 2019,excess weight before age 50 may be more strongly associated with pancreatic cancer mortality risk than excess weight at older age. Pancreatic cancer is an uncommon, type of cancer accounting to just over 3 percent of all new cancer cases. According to the National Cancer Institute’s Surveillance, Epidemiology, and End Results database,it is an extremely deadly type of cancer, with a five-year survival rate of just 8.5 percent. In the United States, pancreatic cancer is the third leading cause of cancer death, after lung and colorectal cancer, and is expected to cause about 46,000 deaths in 2019. “Pancreatic cancer rates have been steadily increasing since the early 2000s,” said the study’s lead author, Eric J. Jacobs, PhD, senior scientific director of Epidemiology Research at the American Cancer Society in Atlanta. “We’ve been puzzled by that increase because smoking–a major risk factor for pancreatic cancer–is declining. “Increased weight in the U.S. population is a likely suspect, but previous studies have indicated that excess weight is linked with only a relatively small increase in risk, which doesn’t look large enough to fully explain recent increases in pancreatic cancer rates,” Jacobs continued. Jacobs said, however, that most previous studies on the link between weight and pancreatic cancer were based on weight measured in older adulthood, which may be less informative because it could reflect body fat gained too late in life to influence risk of pancreatic cancer during a typical lifespan. In this study, researchers sought to find out if excess weight measured earlier in adulthood might be more strongly linked to pancreatic cancer risk than excess weight measured at older ages. Researchers examined data from 963,317 U.S. adults with no history of cancer who enrolled in the American Cancer Society’s Cancer Prevention Study II, a nationwide study of cancer kmortality that began in 1982 and followed participants through 2014. All participants reported their weight and height just once, at the start of the study, when some were as young as 30 while others were in their 70s or 80s. The researchers used this information to calculate body mass index (BMI), a measure of weight relative to height, as an indicator of excess weight. 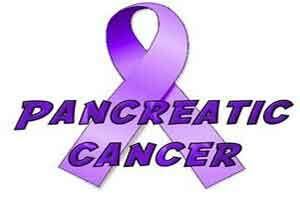 During the follow-up period, 8,354 participants died of pancreatic cancer. As expected, higher BMI was linked with increased risk of dying of pancreatic cancer, but this increase in risk was largest for BMI assessed at earlier ages. An increase of five units of BMI, about 32 pounds for a 5-foot, 7-inch adult, was associated with 25 percent increased risk in those who had their BMI assessed between ages 30 and 49; 19 percent increased risk in those assessed between 50 and 59; 14 percent increased risk in those assessed between ages 60 and 69; and 13 percent increased risk in those assessed between ages 70 and 89. Jacobs noted that while the study only had information on deaths from pancreatic cancer, the disease is nearly always fatal, so results are expected to be similar to those for new diagnoses of pancreatic cancer. Jacobs said the study results indicate that excess weight could increase risk of death from pancreatic cancer more than previously believed. Furthermore, Jacobs noted that recent generations are reaching early middle age with more excess weight than earlier generations did. Therefore, he anticipates that excess weight will explain a larger proportion of pancreatic cancer risk in the future as newer and heavier generations reach the older ages when pancreatic cancer typically occurs. For example, he estimates that 28 percent of pancreatic cancer deaths in Americans born between 1970 and 1974 will be attributable to excess weight, compared to only 15 percent of pancreatic cancer deaths among Americans born in the 1930s, a group that was much less likely to be obese in early middle age. “Our results strongly suggest that to stop and eventually reverse recent increases in pancreatic cancer rates, we will need to do better in preventing excess weight gain in children and younger adults, an achievement which would help prevent many other diseases as well,” Jacobs said. Excess weight or obesity is an often observed risk factor for many cancers. Once cancer progress all the fat disappear. The association of obesity with cancer need not mean that cancer is caused by obesity. It means that the body is preparing it self for the new growth and attempt for transformation. The lateral thoughts are in \”Why Cancer\”.